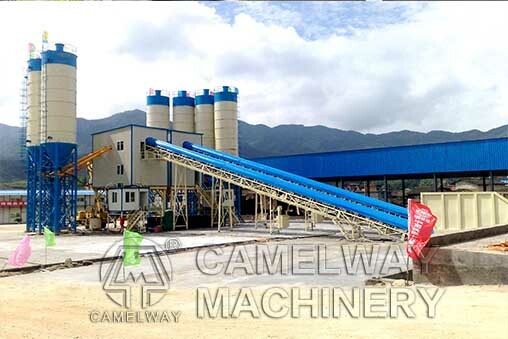 Concrete mixing plant not only has good main mixing machine, but also has all kinds of fine accessories, such as: screw conveyor, measurement sensors, pneumatic components, etc. These parts can ensure the high degree reliability of the concrete batch plant in the operation process, and have precise measuring skills and long service life. At same time, the maintenance parts of HZS series concrete batching plant have walking board and stairs and enough operation space. Main mixing machine can be equipped with high-pressure automatic cleaning system which has the function of oil shortage and overtemperature automatic alarm functions and easy to maintain.